While everyone seems to be treating ‘artificial intelligence’ as the latest in-vogue topic, it’s important to remember it is far from a new development. It is not my intention to dilute the excitement of AI’s minefield of potential but, like anything that has the power to change the world, it requires an element of respect and a lot more know-how. The term artificial intelligence was first coined by John McCarthy in 1956. But the idea that machines could think like human beings began long before that. Alan Turing began hypothesising about what would eventually be called AI in the 1930s. His career culminated in the creation of the Turing Test in 1950, which set out to assess a machine’s ability to exhibit human-esque intelligence. Later that same year, Isaac Asimov's I, Robot was published – a collection of short stories that introduced the "Three Laws of Robotics". And in 1952, Arthur Samuel developed the first game-playing programme that would learn how to play draughts on its own just three years later. Thankfully, we’ve come a long way since then and today there are so many cool ways that AI and machine learning are being used to impact our everyday lives, whether people know it or not. Consumer brands like Coca-Cola and Heineken use data and AI bots to support everything from product development to advertising campaigns. Big data analytics and machine learning models are helping media service providers such as Netflix and Amazon Prime predict what their customers will enjoy watching. Marketing teams at fashion brands like Burberry use big data and AI to nurture customer relationships by personalising the shopping experience both online and in the high street. There were even toys on 2018’s ‘Dear Santa’ lists that embraced AI. Thanks to sophisticated language processing, advanced analytics and machine learning, the modern Barbie doll can listen and respond to a child in under a second, choosing between 8,000 lines of pre-programmed dialogue. With every interaction, these dolls learn more about their owners, storing information to remember that child’s favourite food, TV show and colour, proving that the Barbie brand is taking its original 1984 tagline seriously - "We girls can do anything”. Aside from these inspiring examples, in some ways, the commercialisation era of artificial intelligence has only just begun. If you look at the past decade, a new breed of companies has emerged which use advanced tech to their advantage. Brands like Amazon, Uber, Deliveroo and Ocado are all driven by AI because they see value in analysing the patterns concerning how their customers are ordering goods and interacting with their services. These organisations have successfully paraded the power of machine learning. Other large corporates, spanning every sector, are now trying to understand how they, too, can adopt AI and ML into their business models. 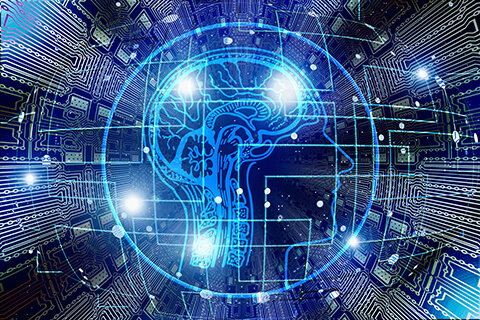 AI is progressing at a phenomenal pace but I think it’s fair to argue that the majority of businesses are yet to leverage the speed, the power and the intelligence that comes with it – and this is down to the fact that AI’s lifeblood is data. And, for many, data-dependent AI it is too confusing to adopt. If you do not have vast amounts of business data – a dataset that requires sophisticated information architecture and data governance – you cannot learn from it, regardless of how clever the robots are getting. That’s a key problem for today’s corporate world. AI and ML adoption is still in its infancy stage because organisations do not have the data necessary to fuel the engine. Forrester, a market research company that provides advice on the existing and potential impact of technology, recently published its predictions for 2019. Its report states that firms of the future will further consider the foundation that will allow artificial intelligence to flourish. Forrester also predicts organisations will increasingly use automation to address the talent gap. At Mitra, we believe there will be more demand from organisations for intelligent tools to improve data governance, allowing them to streamline corporate information architecture – tools that can provide the pathway for embedding ML into business operations and providing a simplified, richer customer experience. That’s one of the reasons why Mitra Innovation has joined forces with Amazon Web Services (AWS) Marketplace for Machine Learning. We’ve spent time developing and deploying a series of new-to-market machine learning products, in addition to creating Praedictio, our cutting-edge data lake offering, in order to demonstrate and democratise AI’s capabilities to the wider marketplace. We’re excited to be playing a part in making it easier for organisations to get access to the machine learning models that will slowly but surely transform the business world. But before that can happen, firms will need to put more building blocks in place to meet AI’s promise, starting with the most elusive – data. To explore more about AI, machine learning, and data, why not Register Free here for AI-Analytics X 2019?